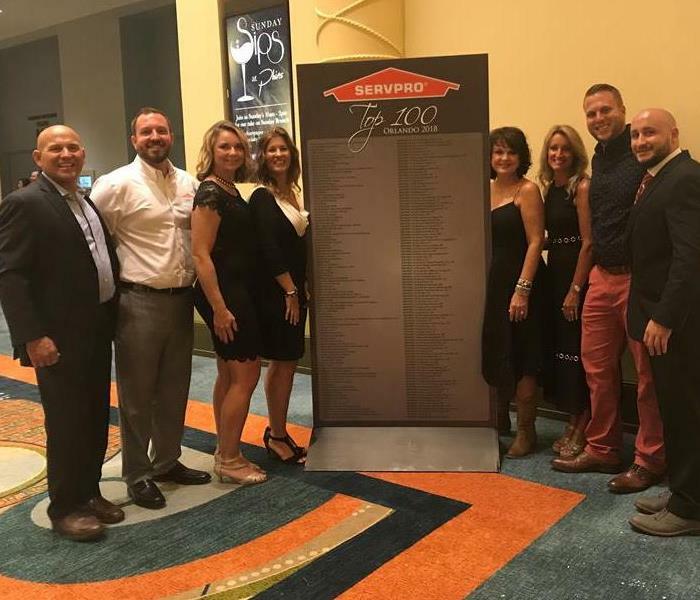 SERVPRO of Bay County named top 100. SERVPRO of Bay County was recently named in the Top 100 in the country. We strive everyday to exceed our customer's expectations and it shows in our referrals and our employee retention. Way to Go Team SERVPRO of Bay County! 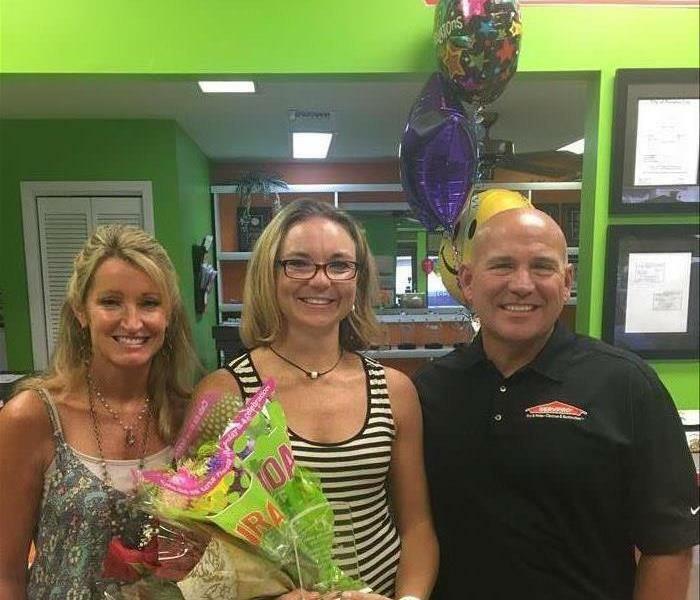 Our very own Crystal Arnold was named Big of the Year from the Big Brother-Big Sister program in Bay County. We are proud to have our employees involved in making our community a better place. This is one of the reasons that our customers enjoy working with us. 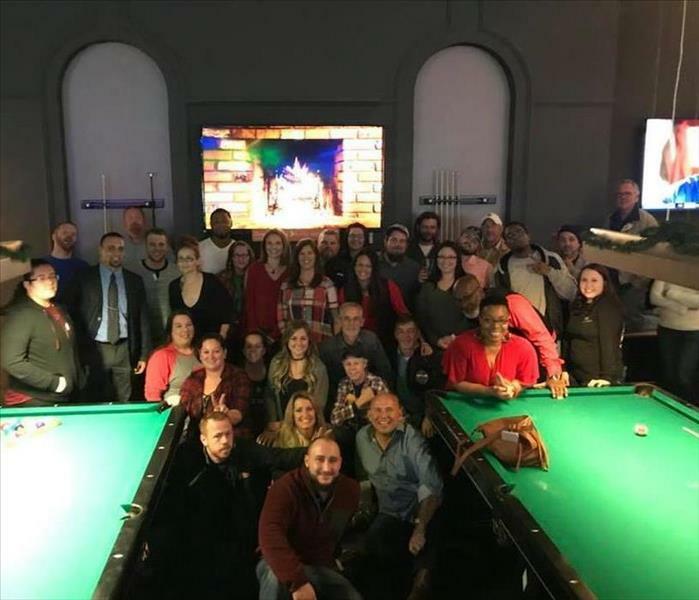 Our employees love their community and it shows. Way to Go Crystal! The Sea of Green was a welcome site to those in the Florida Panhandle following Hurricane Michael. The category 4 storm left behind a devastation that this area has not ever seen. SERVPRO of Bay County along with franchises from all over the country were boots on the ground spreading hope and encouragement. 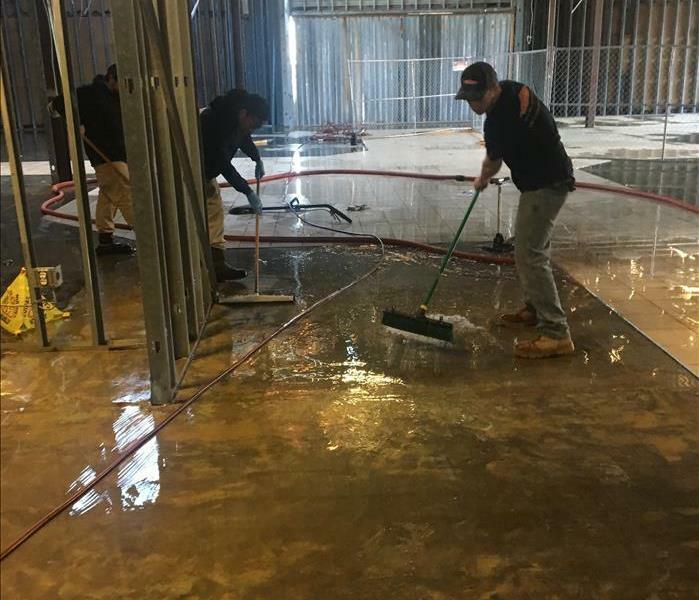 Our team was recently called out to a large commercial job where they found themselves in 2 inches of water in over 11,000 square feet of space. This was no challenge for our crews. They rolled up their sleeves and pants and got to work. After 11 hours it was "Like it never even happened." 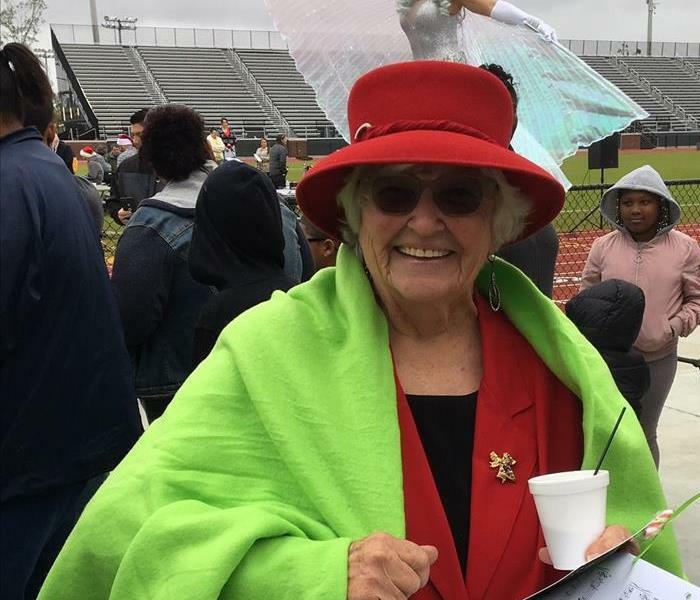 A Hope and Healing Event for the survivors of Hurricane Micheal was held in December 2018. This city sponsored event provided toys, and a highly anticipated visit from Santa. 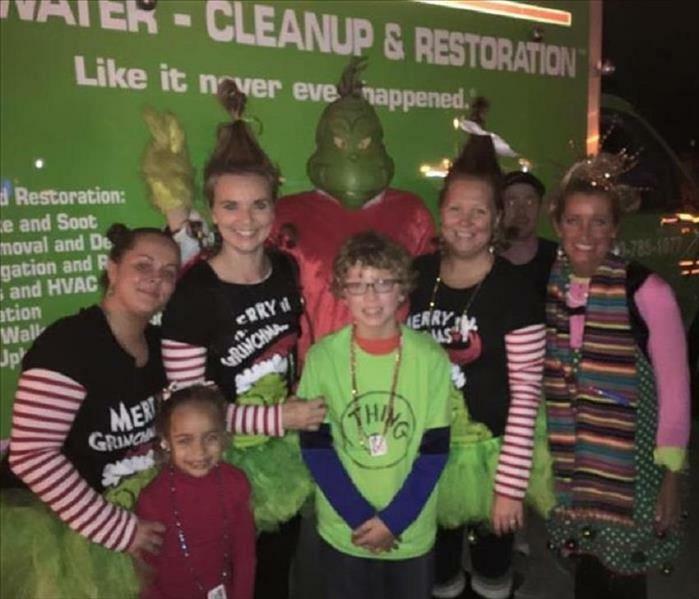 SERVPRO of Bay County gave out green blankets and provided hot chocolate for over 1000 attendees. This was a very special event that allowed our employees to give back to a community that so desperately needs a little TLC! 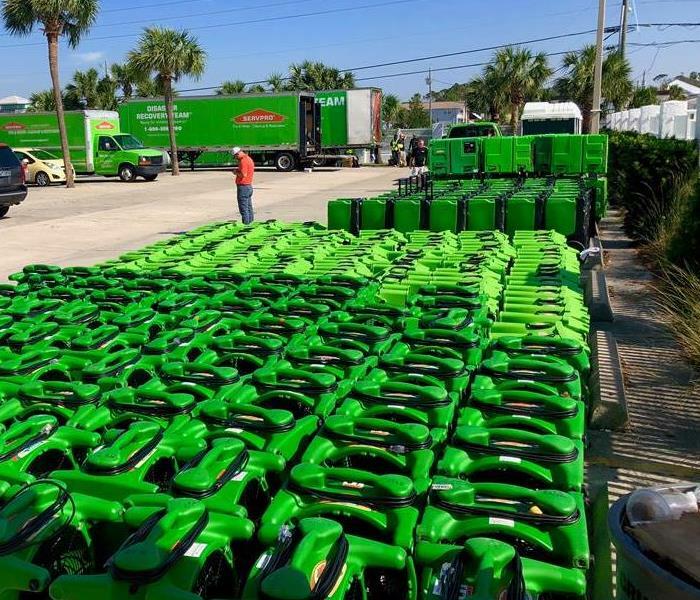 a Group of SERVPRO employees getting ready for another Hurricane Michael relief event. Hurricane Michael destroyed thousands of homes in the Florida Panhandle. "Displaced residents are counting on us to help them and we are going to do just that. Getting them back in their home is a priorty for our team. We understand how it feels because we are all in the same boat" said Sean Grier, owner of SERVPRO of Bay County. Our local First responders are always on the top of our Thank you list so when SERVPRO decided to sponsor the SERVPRO First Responders Bowl we were thrilled to participate. We made game day baskets and delivered them to our Bay County Sheriff's Dept, the Bay County EOC, Panama City Fire Dept, Panama City Beach Fire Depts, and Panama City Beach Police Department. After Hurricane Michael our area was left without power for 3 weeks. Our power companies and linemen worked tirelessly to restore power to 1000's of households and businesses. They quickly became our Heroes! After Hurricane Michael we had water damage in multiple units at a local Condominium in Panama City Beach Fl. Here we are staging air movers before taking them to individual units. 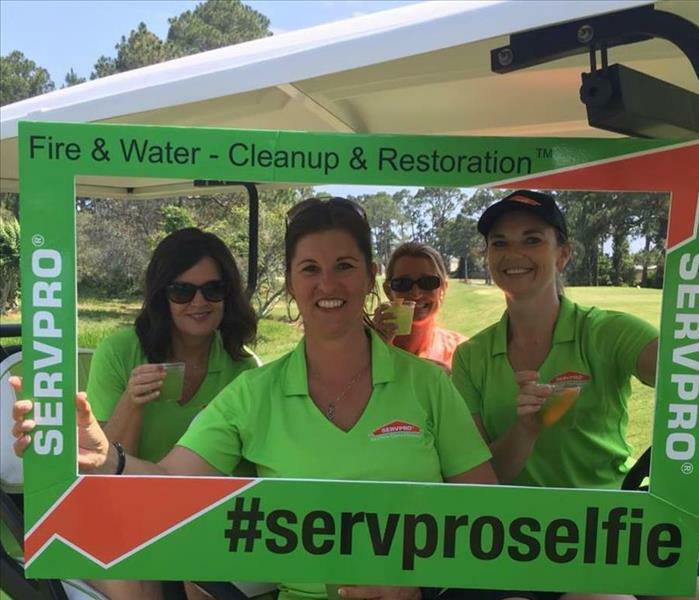 Our SERVPRO Bay County Team! 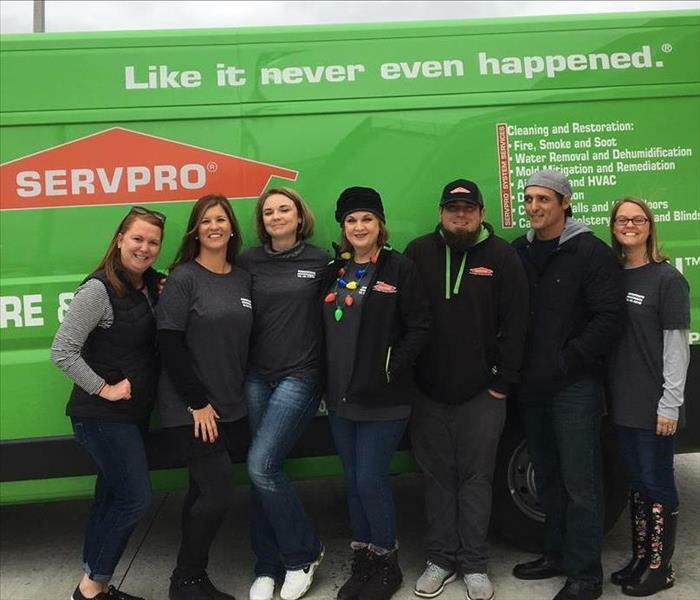 With the end of 2017 and the start to an amazing 2018, we want to take a moment to recognize our amazing SERVPRO of Bay County team! They make all of what we do possible! Bay County SHRM Human Resource Event, Huge Success! 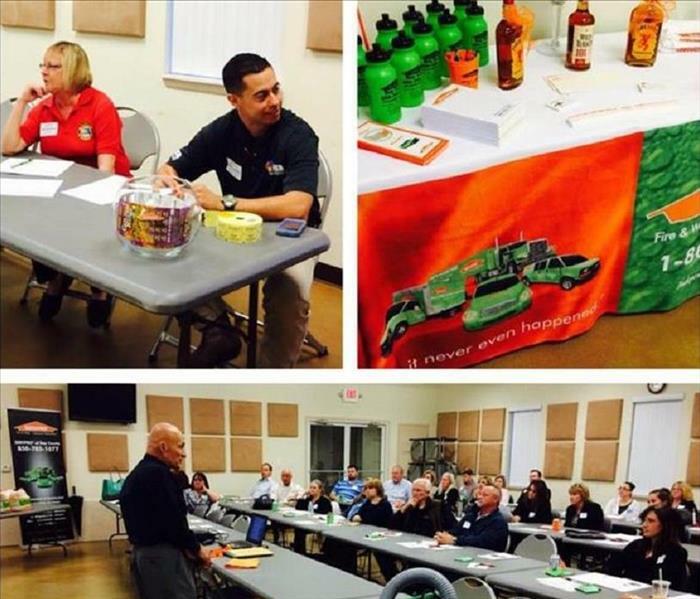 SERVPRO of Bay County recently sponsored the local chapter of SHRM for their recent Leadership summit. The event was well attended and several national leadership speakers enlightened the group through out the day. SERVPRO tempted attendees with delicious, hot, made on site cookies along with a short summary of our ERP app! Large Loss at a Resort. LARGE COMMERCIAL SEWAGE LOSS AT A LOCAL HOTEL. We at SERVPRO of Bay County are often called to help in all kinds of situations. This photo displays some of our crew's handy work in a recent sewage loss. When a loss occurs in a public place being discrete and professional is of the utmost importance. One of Our Own honored! Talena Grawburg- Marketing, was honored recently. 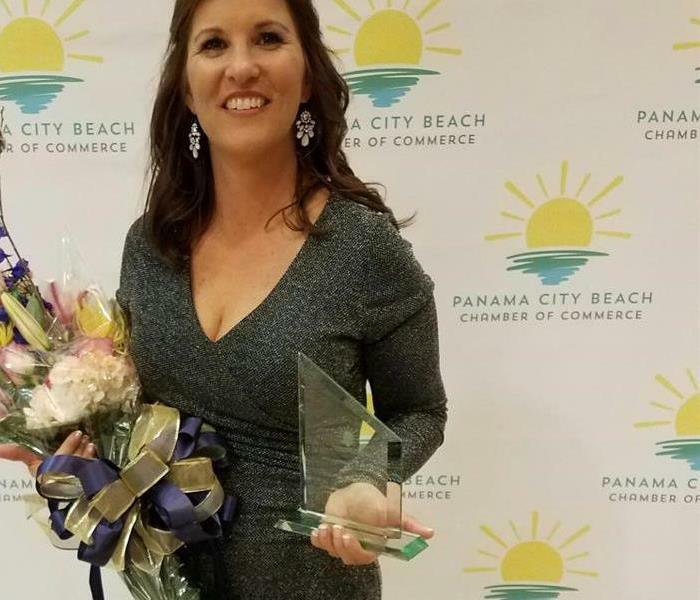 Talena was awarded the prestigious Jean L. Schafer Ambassador of the Year Award by Panama City Beaches Chamber of Commerce. We are so proud of Talena and her outstanding achievement! Community involvement is a large part of SERVPRO! 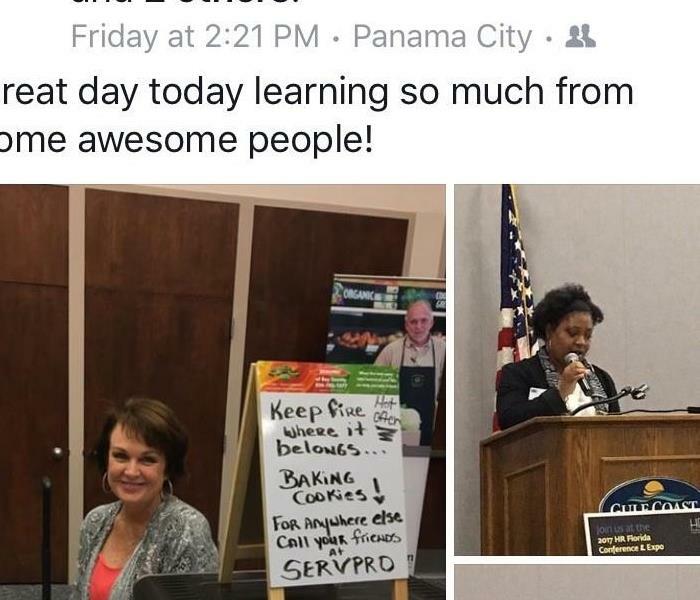 Helping the community we live in is an important part of what SERVPRO of BAY COUNTY is all about! We encourage our employees to volunteer in a variety of community organizations. Frye Agency takes the prize! Congratulations to the Frye Agency for winning our "Most Creative Gingerbread House". During the holiday season we enjoy a good contest, so we take our insurance partners to task! This year's contest was to make the most creative gingerbread house. The Frye Agency even used a little special something (our truck) to put them over the top! St. Patrick's Day contest with Broward Hall Insurance. These girls and guys really out did themselves! They decorated their office with our very own Lenny the Leprechaun. Broward Hall managed to snag themselves a free lunch on us! 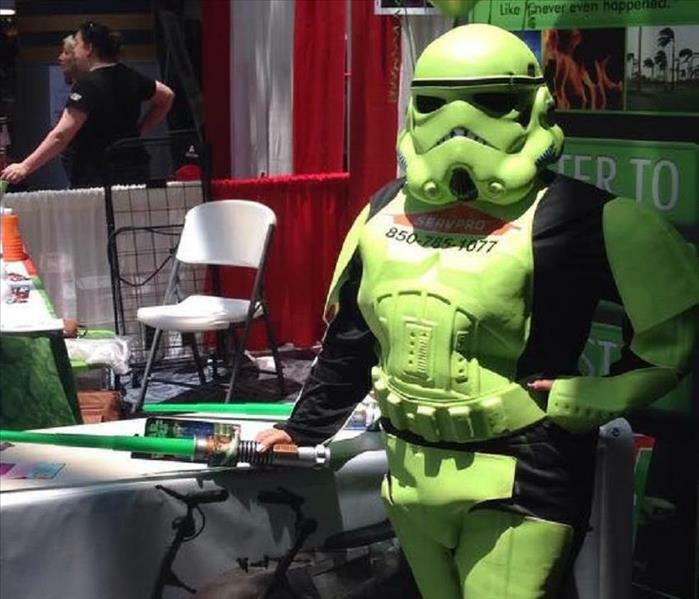 At SERVPRO of Bay County our crew of "Storm Troopers" are standing by 24/7 to help with all of your Water, Fire & Mold disasters. We are also available for a quick photo! SERVPRO of Bay County crew doing the ALS Foundation Ice Bucket Challenge. It took them days to work up the courage to hit the ice, but once there they were all on board. Thanks guys, for being a good sport for charity.